Thank you for registering to receive $50 off your treatment. We can't wait to see you and someone will be in touch very soon. If you want younger, healthier, glowing skin medical level microneedling is for you. With very little downtime, low cost and extremely effective this skin FDA approved procedure will have you loving your skin! 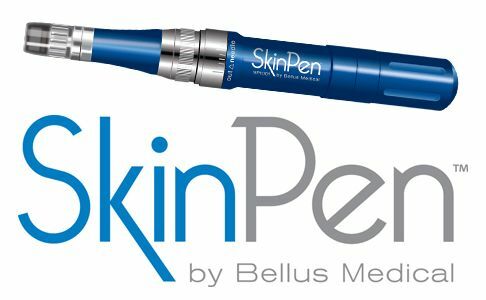 The Bellus Skinpen microneedling procedure is one of the safest and effective ways to battle aging skin, acne and pitted scarring, wrinkles and saggy skin! The only class II FDA cleared microneedling devices in the U.S.
Reduces the signs of an aging, improves the appearance of acne scars and rejuvenates the skin! Just after one treatment the average in skin texture with no discoloration of the skin is 31%! Safe for all skin types. The SkinPen microneedling device creates hundreds of tiny micro-channels in the skin with minimal damage to the epidermis. By causing a slight injury to the skin, the junctions between the skin cells, disrupting the skin’s barrier function does not cause pigment-producing cells, the darkening of the skin, known as hyperpigmentation. Can be used anywhere on the body. From amazing results in balding areas and receding hairlines to legs. With the SkinPen our technician can control the depth depending on the area being treated to get the best results. At Ideal Self Today Madison, this treatment is almost painless depending on your pain tolerance. We use medical grade numbing creams and gels to make this a very comfortable treatment for anyone. Downtime is short. Ideal Self Today recommends 24 hours of no exercise or drinking. You will look like you have a slight sunburn to extremely red and sore depending on your skin type. Many choose to stay home and relax the day after a treatment. Sun avoidance is highly recommended for 2 weeks following procedure. As always you should wear sunscreen every day, especially on the area microneedled. The treatment is a great alternative to expensive, long downtimes and possible dangerous laser treatment and giving you similar results. The Microneedling treatment continues to work for up to 3 months after procedure. Ideal Self Today has been performing microneedling treatments for four years and are trained by top professionals in the industry.